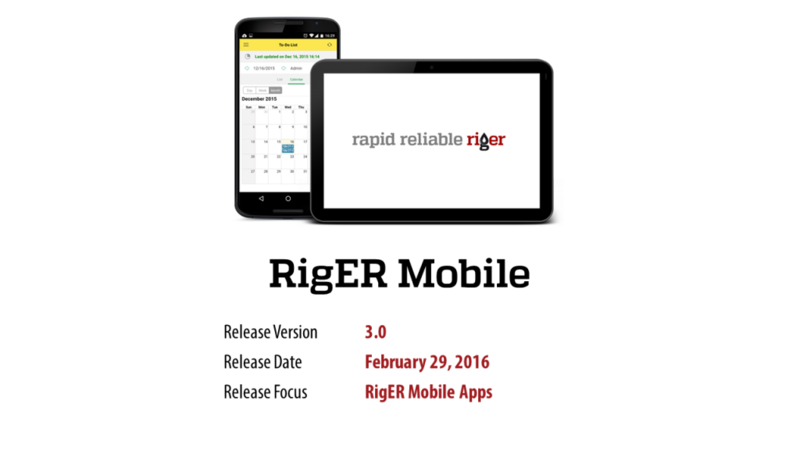 We are pleased to introduce RigER Mobile and RigER Version 3.0. 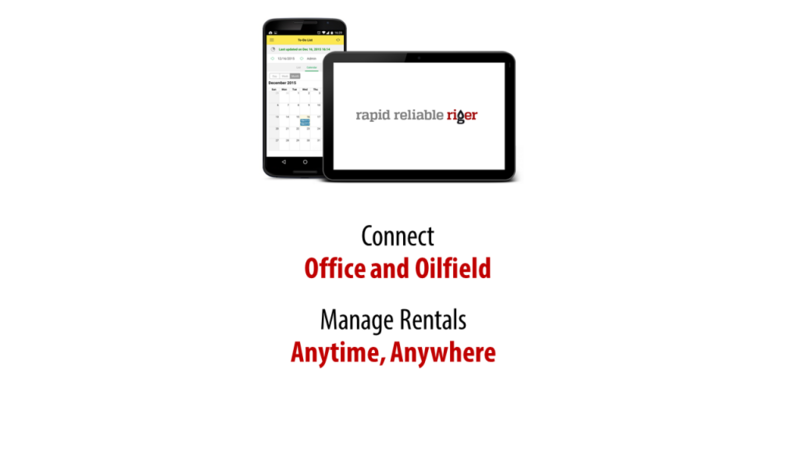 New mobile apps connecting oilfield and office and allows to manage service and rentals any time, anywhere! offering cost effective and highly customized solution to track rental operations, manage rental fleet, service dispatching and invoicing. needs and integrated with other software. 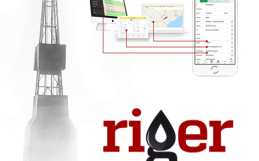 RigER is a cloud-based software with affordable customization and integration features. This realise added mobile apps to reliable desktop and web applications. CEO and founder of RigER. 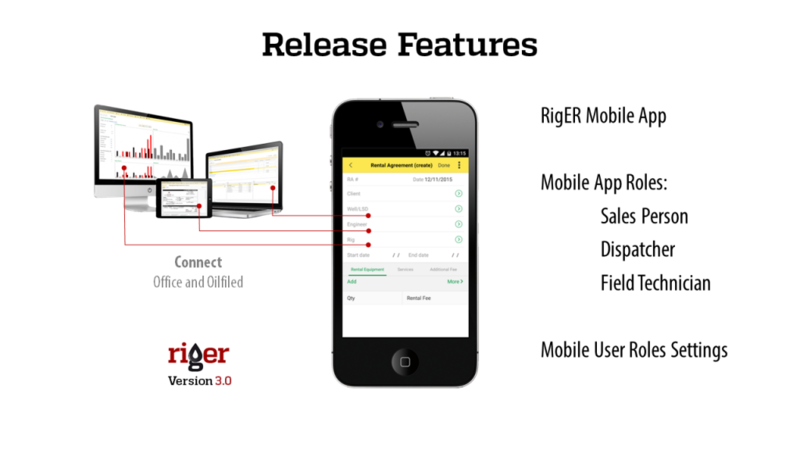 “RigER Mobile Application was in our mind from our first product design concept. We knew 3 years ago that some day we would build it. friends and supporters,” he added. “We defined three roles which can benefit most from mobile app usage: Sales Person, Dispatcher and Field Technician,” says Maltsev. 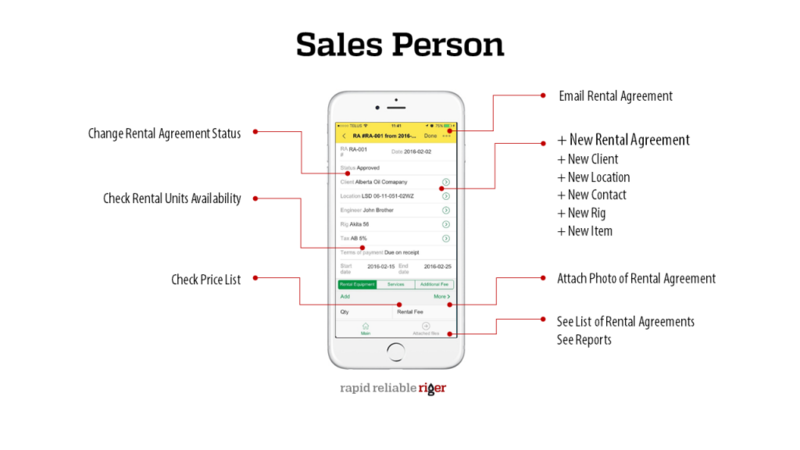 Sales Person can use RigER Mobile to track opportunities, prepare quotes for clients, generate rental and service agreements. The user can print or email the documents to clients. Unlimited number of files can be uploaded and attached to every document. location, contact, rig, and item. 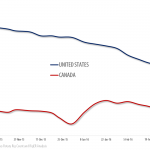 Sales person has access to prices, rental unit’s availability and sales reports. 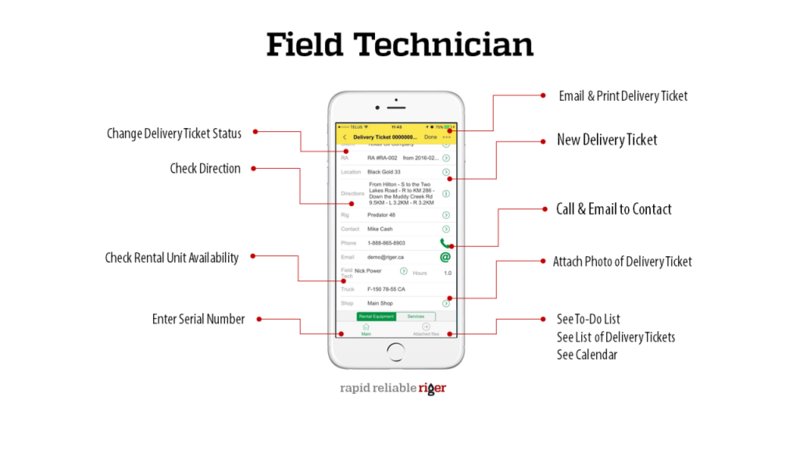 Field Technician will use RigER Mobile to eliminate amount of paper work and run digital delivery tickets. “Digital tickets don’t get lost. From the second they’re created in RigER, their information is recorded and securely saved. doing tedious and error-prone data entry. 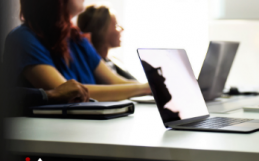 By cutting out data entry, your business can run more efficiently,” says Maltsev. duration of the job, list of services and rental equipment. Field Technician has his own oilfield calendar and To-Do list. He can use RigER Contact data to phone and email them directly. Digital delivery ticket can be send to client by one tap. made it back to his truck. 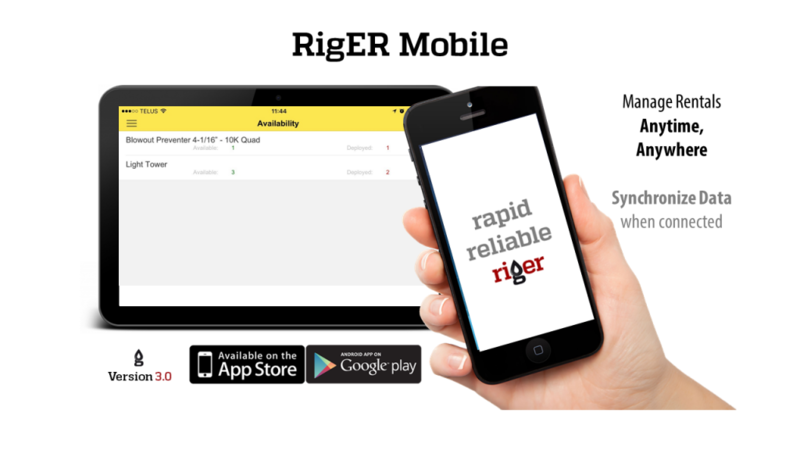 RigER Mobile is rapid and reliable!’ Maltsev added. 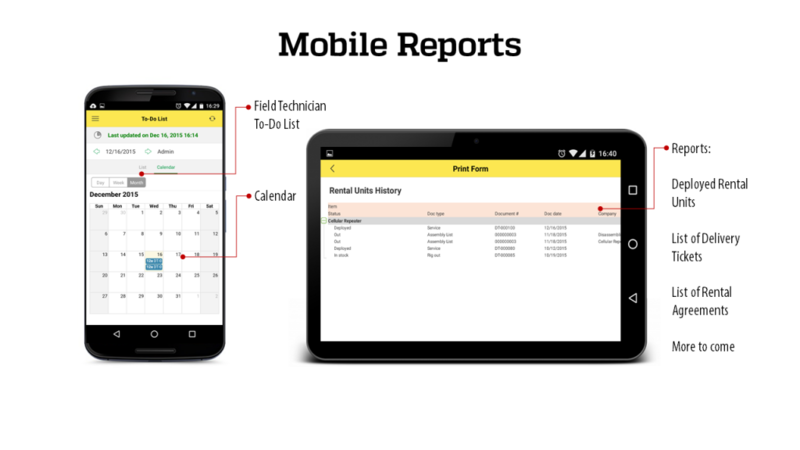 availability of all resources, can manage field jobs, check oil field calendars and make to-do lists for field technicians. 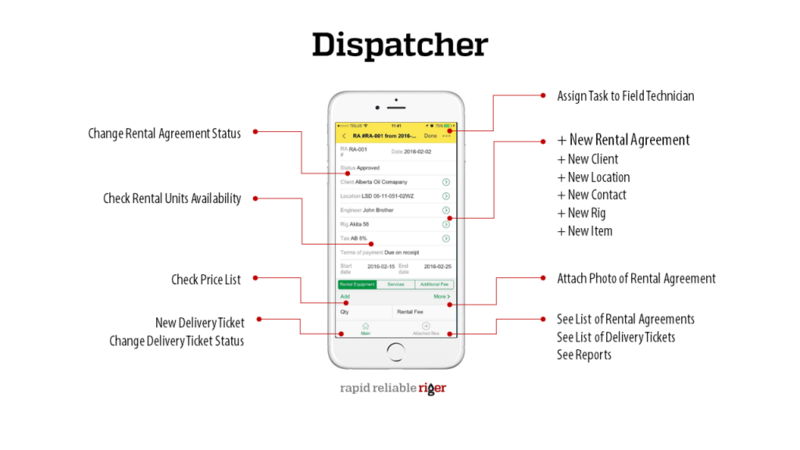 Dispatcher check safety, quality, quantity compliance of the jobs and approves delivery tickets. After that the accountant prepares rental and service invoices. 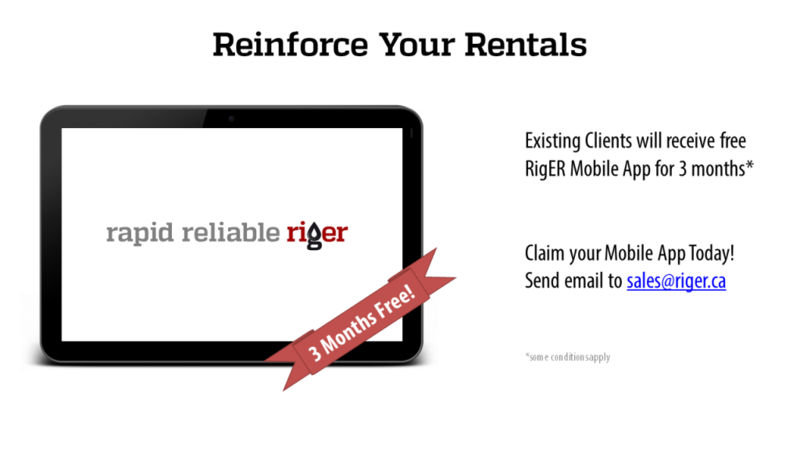 “We added popular reports to RigER Mobile: Deployed Rental Units, List of Rental Agreements, List of Delivery Tickets. 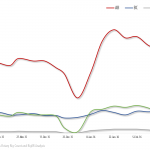 Other reports and dashboards are waiting for mobile adjustments and we are going to add them soon,” says Maltsev. 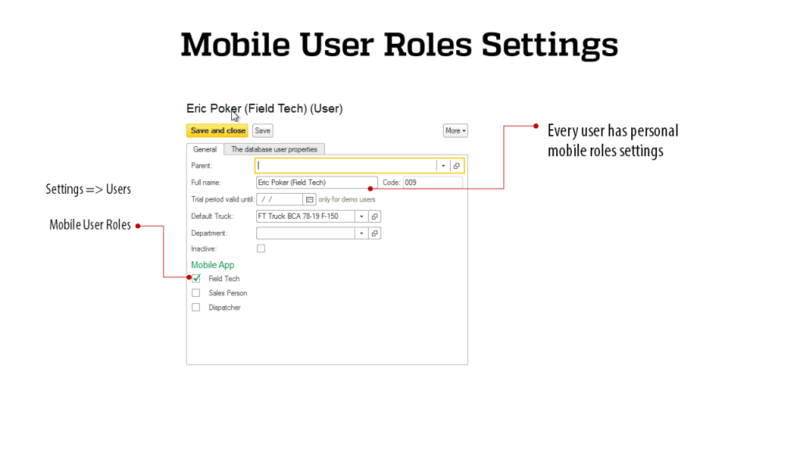 To connect mobile devices to RigER administrator should allow mobile connections an setup mobile users roles. Go to settings, then users, open user and click to particular role. path to cloud database, login and password. 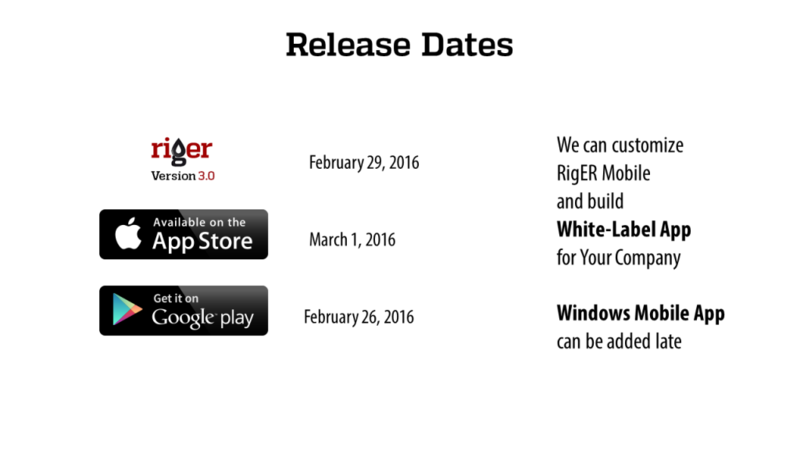 RigER Mobile applications available on App Store for iOS devices and on Google Play for Android deceives. 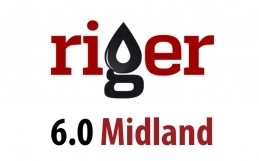 RigER Mobile Application can be highly customized. Windows App can be added upon request. “We are offering RigER Mobile for existing client for free for first 3 months,” says Michael Maltsev. 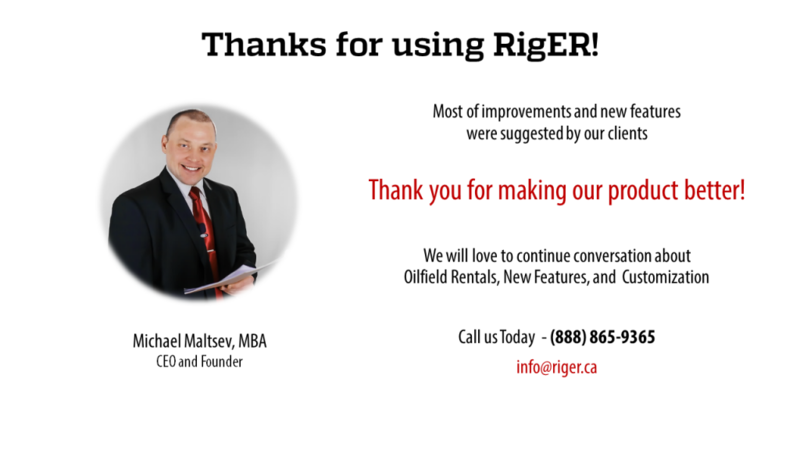 We would like to thank them and continue this conversation about new features, product customization and oilfield rentals. to RigER version 3.0 on March 4, 2016.